This photo was a recent addition to my collection. How can anyone view it without smiling at least a little? These men, who look to be about sixty years old – give or take a few years, are obviously good buddies. 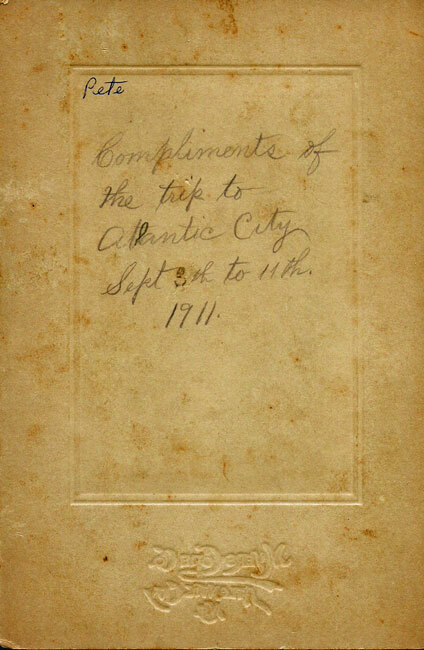 They visited a photography studio in Atlantic City and commemorated their vacation with this photo. Are the bathing suits studio props or their own suits? 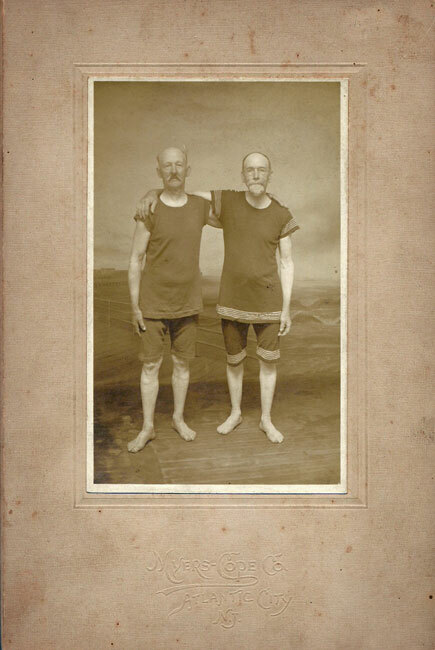 I guess we’ll never know, but I’m sure, based on other photos and postcard views of the era, that this is, indeed, what men in the early part of the 20th century would wear to the beach. Made of itchy wool that clung to the body when wet and took forever to dry out, those early bathing suits seem like torture devices to us. But in an era when even the wealthiest person sweated in the heat and humidity of summer without benefit of air conditioning, a trip to the beach and a dip in the cool waves of the ocean was a welcome respite. And as silly as those suits look to us today, I’m sure they felt comfortable when compared to the long sleeve shirts, stiff collars, and long wool slacks that every man wore no matter how hot it was. This entry was posted in 1910's, Americana, Carol, Ephemera, Photography. Bookmark the permalink.